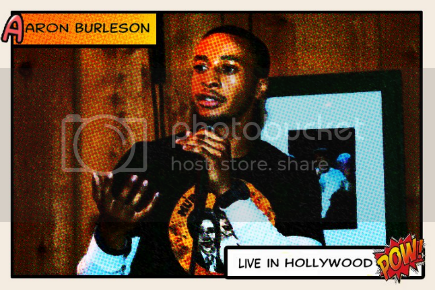 “Coming to the stage” for this edition of One-On-1 is Comedian Aaron Burleson! An accomplished comedian he may be, but he is also very knowledgeable and he really has a heart for the world and fixing the current conditions of it. I had the chance to chat with Aaron about his career in comedy as well as his family life and his views on society! “Read more” to check it out! Aaron!! You don’t know how much I’ve been looking forward to this interview! I’m sure it will be very funny (Lol)! Thanks for sliding through! Never a problem Ari. Anything for the homey…who is not a clown ( hahahahaha...awkward laugh while trying to play off the bad joke.) I’m really happy to be here. How are you? I’m great thanks! And thank you for specifying that I am NOT a clown (Lol)! Let’s get into this interview! When did you decide to pursue a career in comedy? What inspired your decision? Well it’s not just comedy by itself that I want to pursue. Much of my art deals with observations, politics, race, gender, culture and family. I am inspired by theater, entertainment and storytelling. I've always loved all forms of Art including, storytelling, literature, history, poetry, TV, movies, and comic. I want to change the world of comedy and art, and now I have a chance to put all of these great items from my subconscious together with my art. In addition, the community and people who aren’t cared for deserve a voice and advocacy. Lower income communities are being institutionally and systematically oppressed, that's why I am motivated to change this through my art and education. I want to bring sustainable change to these conditions. Sustainable change? This is my zone right here I‘m all about change, can you elaborate on that? Specifically, what changes would you like to see in society over the next 20 years? Just people not letting fear make them ignorant, discriminative, xenophobic and racist anymore. I’m tired of people hating on others maliciously. I love a good practical joke or a little ribbing from time to time. But when it turns cruel and especially insensitive then it needs to stop. I want all people to be truly equal no matter what gender, identity, ethnicity, or class. (Lol) That’s a very good answer! Kids tend to grow up way too fast these days! They need to be reminded that it’s cool to still be a kid. So, back to the comedy, how do you go about coming up with new material? Do you have a specific method? What inspires you? Well I went to college, didn’t do that well but I learned how to study. So I love making observations and studying people and things in society. My comedy is also very inspired by my life and my wonderful crazy family and friends. 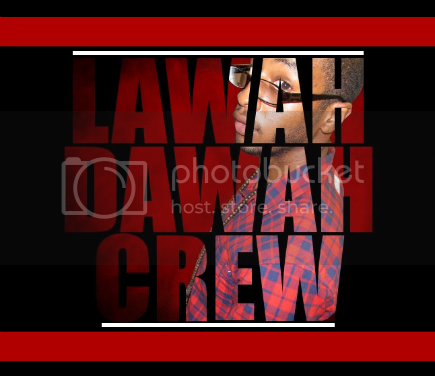 I have the honor and privilege of utilizing my crew, and my wacky experiences to theatrical effect. Awesome! It’s cool that your family and friends don’t mind that you use them for comedic effect (Lol)! Do you have a supportive family? How do they feel about your aspirations? (Haha!) I ask that question a lot, and I love it when the people I feature have a strong family backing. I think family is really important in every aspect of your life, regardless of the decisions that you make. You spoke about your parents, I assume that they play a major role in your life. Who else do you look up to as an example, or mentor? My parents have been a tremendous influence and my first real mentors of my life. I have been blessed to come from love. My parents have always been supportive selfless individuals. Coming from beautiful people like these two, I have no excuse as to why I can’t succeed as a person. In addition to my parents, I would have to say Richard Pryor and Louis CK are two comedians which I love to study. Pryor was way before his time. His material and observations on race were simply groundbreaking. Pryor said things that could have got him blacklisted from the entertainment industry. Beneath it all however, Pryor was an artist who was always looking for new stories to tell and ways to push himself as an artist. Louis CK is pure comedy. His observational humor is subversive in nature but packs a punch of relativity that makes it easy for fans to enjoy. As a performer, I have patterned myself to a museum curator. The museum that I am curating is my mind. When I perform, I am allowing folks into my mind but I must make sure that I am speaking clearly and timely so people can get really get the “picture”. I love that you said “Coming from beautiful people like these two, I have no excuse as to why I can’t succeed.“ What an awesome compliment to your parents! So, what are your greatest ambitions as far as your career, comedy and life? My greatest ambition is to put out conscious, subversive, humorous, honest and relate-able art to people through different mediums. I am not trying to be a mega star. I don’t want celebrity like some other people. I would rather be a good comedian and actor any day over being a Justin Bieber mega super star. I want to put out good art which people can relate to and resonate with. I also want to bring opportunities to folks and communities who don’t have any advocates. That’s why I want to establish a network of artists, musicians, actors, comedians and activist to look after each other and provide opportunities for one another. With my family, God and spirituality comes first. As long as I have been doing my art and educating folks, I have always wanted to have a strong spiritual base. At times that spiritual base has been rocked and threatened more times than the X-men Mansion School ( Yes, I am that much of a geek). But a strong faith, discipline and loyalty to my integrity has always seen me through. That’s a beautiful answer, except for the part about being a geek! I love X-men! (Lol) Alright Aaron, so my last question is what advice would you give to someone wishing to pursue their dreams in the field of their choice? There will be no one who gives you a golden ticket to success. It will take hard work and an incredible amount of dedication and focus. Always be courteous and never evil. Thank you so much Aaron! This was a very insightful interview! I know a lot of people will be inspired but what you’ve said. You guys know what to do, connect with Aaron on all of his social networks, and be sure to check him out at one of his comedy shows! Watch this sneak peak of Aaron Burleson's Stand Up routine!! I gotta catch this show!